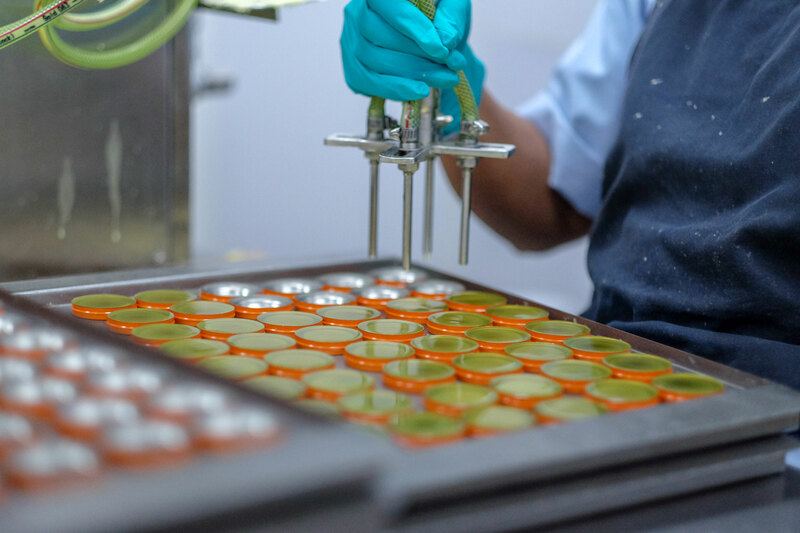 Golden Cup Balm is a ubiquitous product in Thailand. 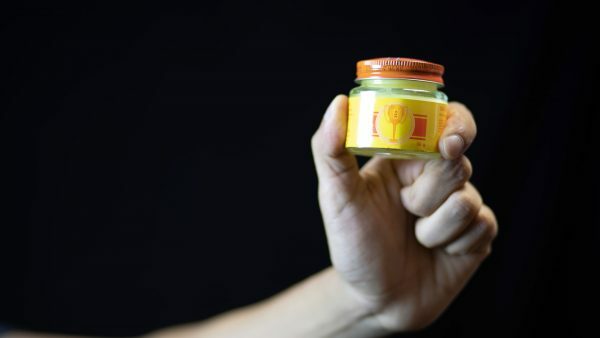 Since the 1950s, this herbal balm has been providing relief for those suffering from headaches, sore muscles, mosquito bites & more. 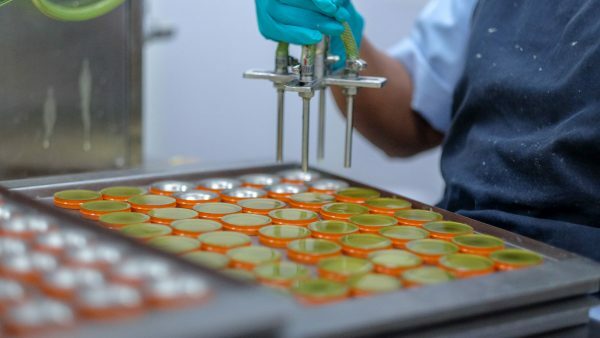 Every household in Thailand uses the iconic jar and expansion into the global market is well underway with offices & importers in over 13 countries. 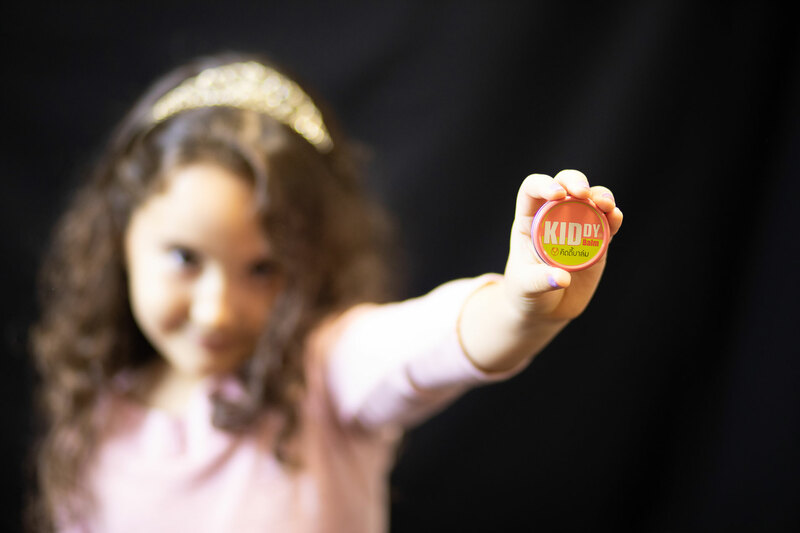 While the brand has built lasting trust on a national level, a dated website was not helping them to grab the attention of potential new markets or expand the current ones. 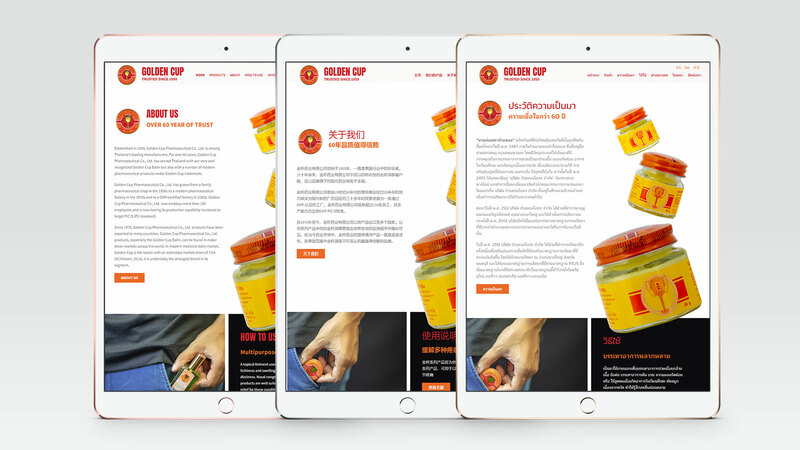 Using our in-house team we created a new multilingual website in Thai, English & Chinese. 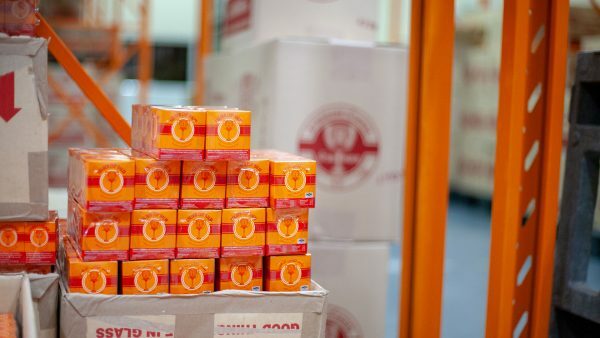 Based on the familiar color palette of red & orange but featuring an updated design, the new website preserves the classic brand identity while showcasing their modern production factory in Thailand. 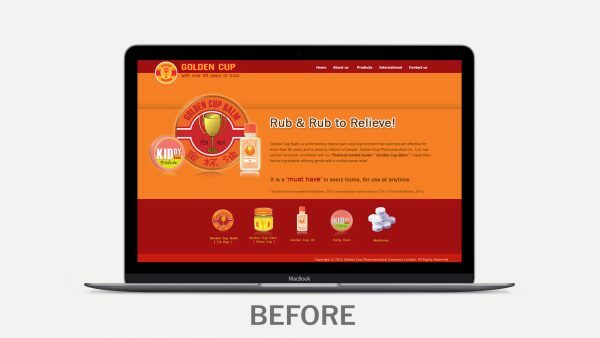 Redesigning the Golden Cup website was an exciting challenge for our designers as the original website featured bands of red, orange, and not much else. 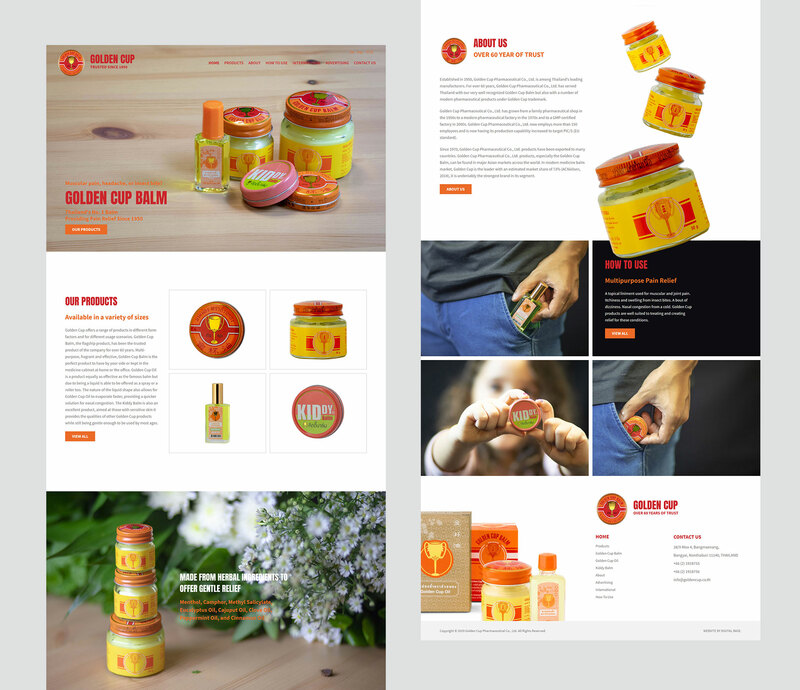 By introducing white space, selective use of the brand colors as accents, and product photographs by the DIGITAL BASE team, an aesthetically pleasing color balance was achieved. 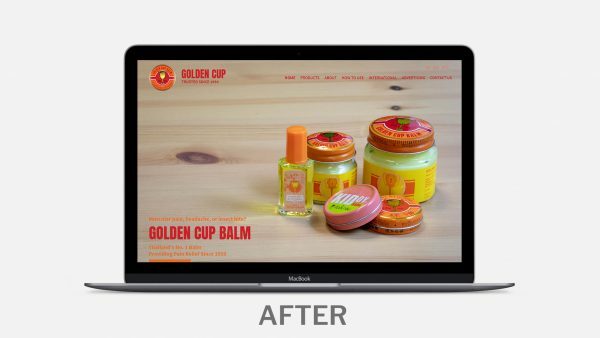 The main focal point of the new website design is the Golden Cup products with an overall look that is modern and fresh. 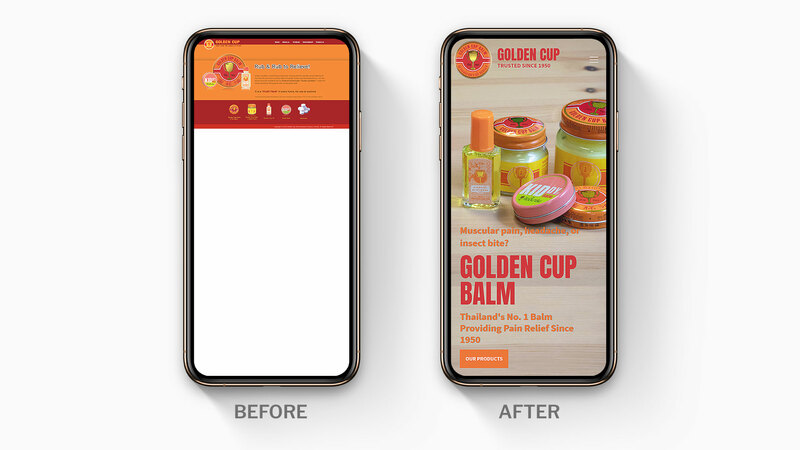 Having a fully mobile-responsive website with a beautiful user interface and intuitive user experience is great for your users and makes Google happy as well. The new website is a great marketing tool for a forward-thinking brand like Golden Cup brand. 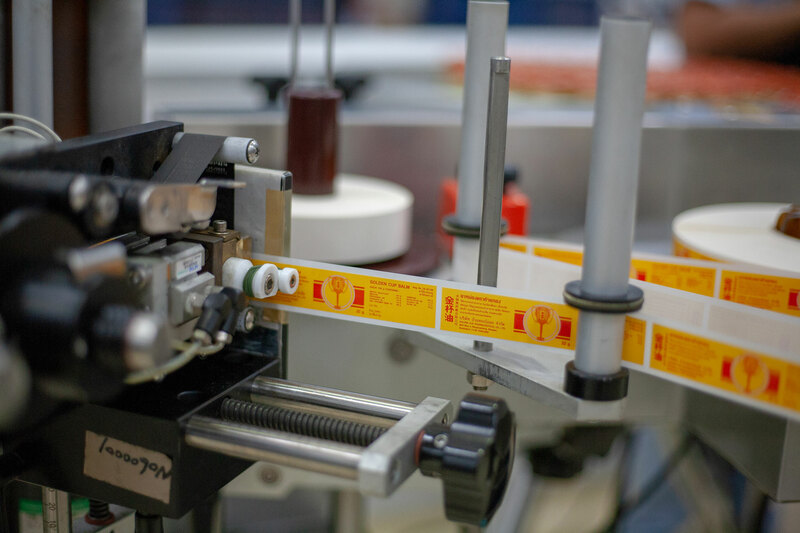 Our in-house copywriters created copy in English, Thai and Chinese to allow Golden Cup's global audience to get the information they need in the language most familiar to them. For the best user experience, our designers and developers worked together to ensure that the fonts looked great in all 3 languages. 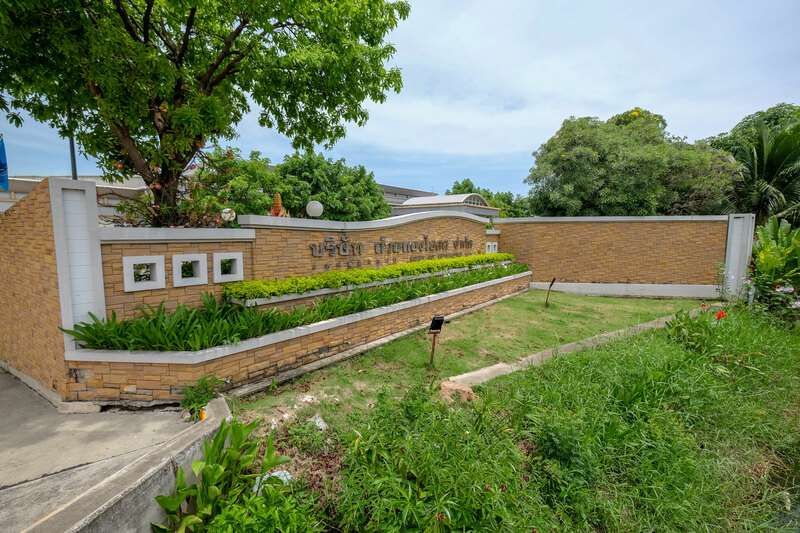 DIGITAL BASE took a trip out to the Golden Cup factory in Nonthaburi to take video footage and on location photographs of the modern production facilities. 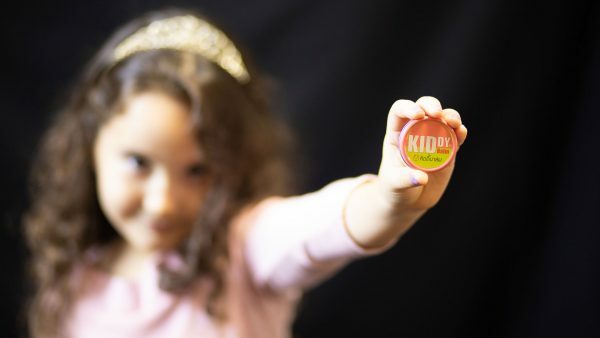 While there, we picked up samples of all Golden Cup products to complete a full product shoot in our in-office studio. 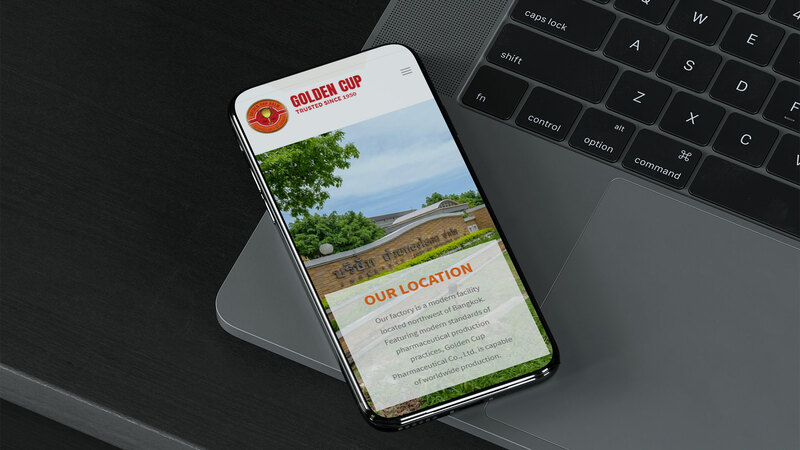 The beautiful photographs and stunning company profile video that we created for Golden Cup is something that our team is proud of. 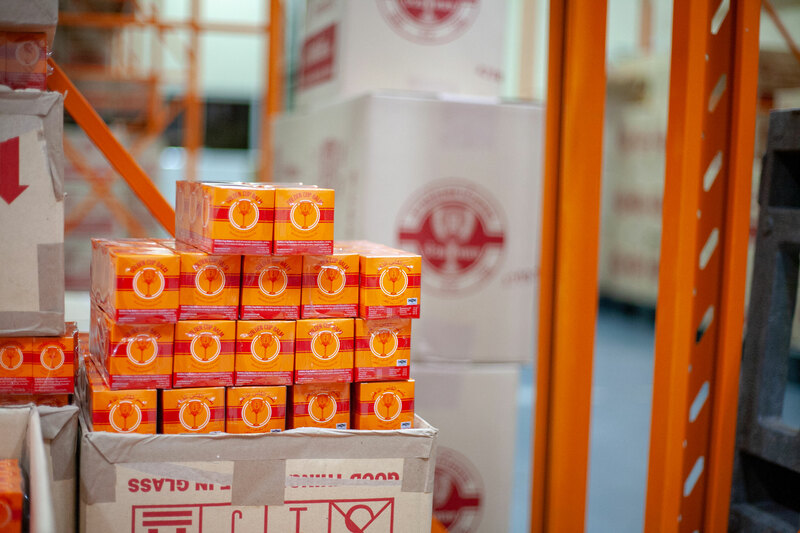 What an honor for DIGITAL BASE to work with Golden Cup in creating a new look for such a classic Thai brand.